The World Boxing association (WBA) has ordered its “super” champion Leo Santa Cruz (33-1-1, 18 KOs) to take on “regular” champion Abner Mares (30-2-1, 15 KO) in a rematch of their 2015 war that featured over 2,000 thrown punches. The move appears to be in accordance with the sanctioning body’s goal of reducing the number of champions in each division — something that has had a bit of a slow roll-out since stating their intentions to do so over a year ago. 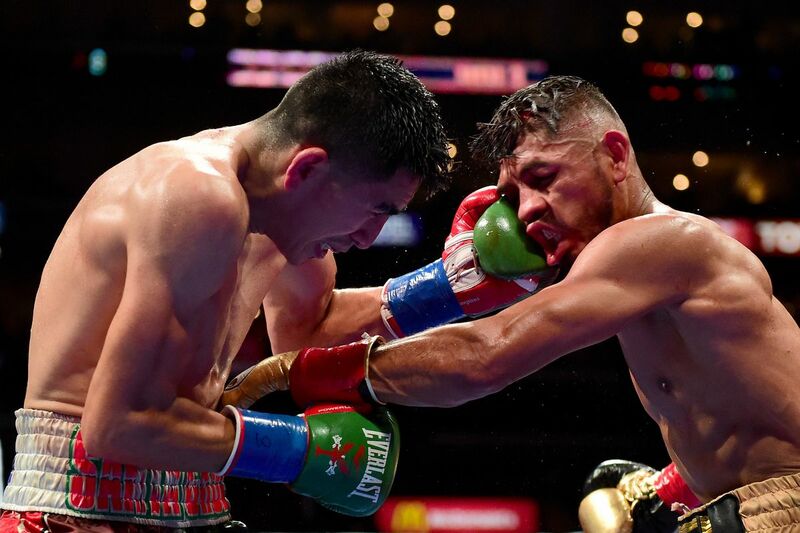 The first fight between Santa Cruz and Mares was one of the best action fights of 2015 during which the two fighters went head-to-head in Los Angeles. Santa Cruz would end up winning a majority decision in a fun fight, and quite frankly, one wouldn’t expect the rematch to be much different. Santa Cruz and Mares officially have 30 days from yesterday to strike a deal for the fight. Otherwise, the mandatory title bout will head to purse bid — something highly unlikely to happen considering that both fighters are aligned with manager Al Haymon. “Since we’re both under the same management, I don’t think there will be any issue with it going to purse bid,” Mares told ESPN on Monday. Mares, 31, has only fought once since his loss to Santa Cruz, winning a split decision over Jesus Cuellar, last December but Mares says that the Santa Cruz rematch was the first thing he asked Al Haymon for, following that win. On the other hand, Santa Cruz, 28, has fought three times since defeating Mares – knocking out Kiko Martinez, losing his world title to Carl Frampton, and later winning it right back this past January. Definitely, it makes for a compelling rematch fight fans truly deserve.